Smoleńsk – a lesson, a tragedy or Poland’s first case of fake news? On Wednesday the 11th of April, Kultura Liberalna held a debate on the competing narratives surrounding the Smoleńsk tragedy of April 2010. 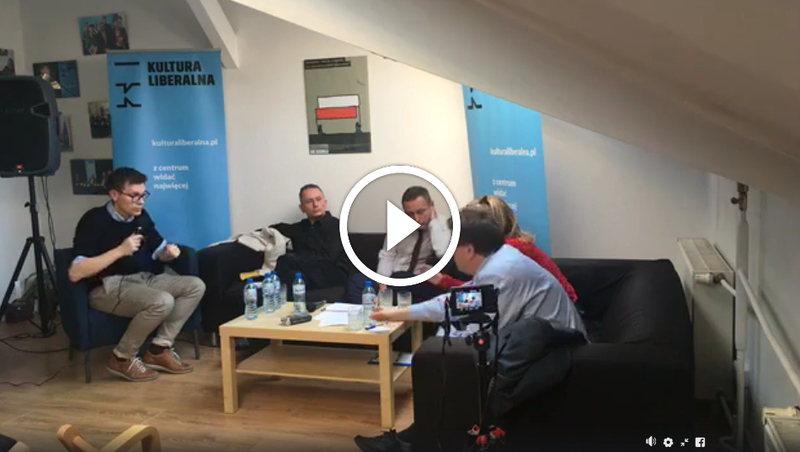 A full-length Polish-language recording of the discussion can also be accessed on Kultura Liberalna's Facebook page, which you can reach by clicking here. On the occasion of the eighth anniversary of the Smoleńsk catastrophe, there will be a change in the way in which this tragedy is remembered. According to PiS and Jarosław Kaczyński, the monthly remembrance service will soon be replaced by a monument erected to the victims on Piłsudski Square in Warsaw. There will also be no full report on the tragedy from Antoni Macierewicz’s now (in)famous subcommittee, however, it will continue to be investigated and we will – most likely – continue to hear repeated claims of assassination. So, will anything really change? For some, Smoleńsk has become symbolic of the current Polish state: makeshift, deeply partisan and prone to putting everything off till tomorrow – an approach which Zbigniew Parafianowicz from Dziennik Gazeta Prawna has figuratively called “tupolev-ism”. For others – those who believe in and repeatedly make reference to the thesis of a coup d’état – Smoleńsk has become a symbol of national martyrdom, historical injustice and even the special role of Poland in the history of the world. How has this division in Polish society come about, how have political populists been able to benefit from it and can anything good come out of this tragedy for the debate about the state of Poland and Polish society? Or, has, eight years after the Smoleńsk accident – just like with the disputes about the Polish People’s Republic, martial law, the demotion of the generals and the beginnings of the Third Polish Republic – a generational dispute emerged, which is only of interest to the same, ever-older generation? Find out more, either by watching the English-language video highlights at the top of this page or by heading to Kultura Liberalna’s Facebook page, which you can access by clicking here, to watch the full-length Polish-language recording of the debate. Rafał Matyja is a historian and political scientist. He is the editor-in-chief of the Polish quarterly Praktyka Polityczna and the author of the slogan calling for the establishment of a Fourth Polish Republic. In March, he published his latest book, Wyjście awaryjne. O zmianie wyobraźni politycznej, which looks at how to bring about lasting political change through creating a new collective Polish imagination. Paweł Rabiej is a co-founder of the Nowoczesna party and vice-presidential candidate in the forthcoming local elections in Warsaw. Piotr Skwieciński is a former journalist of Życie Warszawy and Wiadomości TVP. From 2006-2009, he was the president of the Polish Press Agency. He is currently a publicist at the Polish weekly Tygodnik Sieci. Dominika Wielowieyska is a journalist at Gazeta Wyborcza and Radio TOK FM. 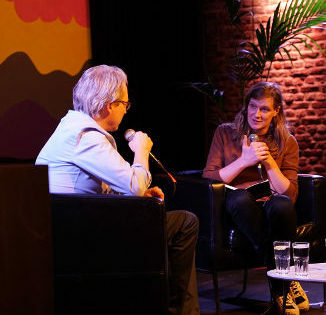 Video highlights of this debate with English subtitles can be found at the top of the page and a full-length Polish-language recording of the discussion can be accessed on Kultura Liberalna's Facebook page by clicking here. Furthermore, you can stay informed about all Kultura Liberalna videos and live streams by following their Facebook page, which you can reach by clicking here. 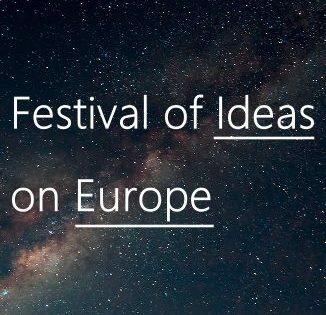 This debate forms part of Time to Talk‘s Understanding the Populist Turn: The Ex-Debates series and was supported by a grant from the Open Society Foundation Institute in cooperation with the OSIFE of the Open Society Foundations. Having issues playing the Facebook video? Depending on your settings, embedded videos from Facebook may be muted and/or invisible. If you can’t hear any sound, then click on the speaker icon at the bottom right of the video. If you cannot see the video and are using Firefox, then temporarily disable tracking protection by clicking on the shield to the left of this page’s URL address (at the top of the page).